In 2014, when we were bringing Emotion 2 home to New Zealand, I was very disappointed that we didn’t take the time to see some of the wonderful places down the West Coast of Australia. 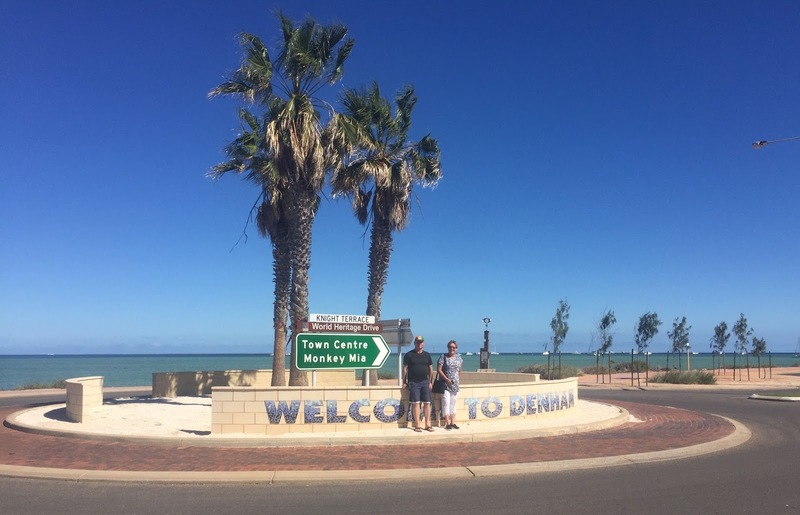 Now that we have the boat back in Western Australia, we have been able to go back and spend some time in Coral Bay, Tantabiddi and Exmouth. But definitely one of the highlights has been Shark Bay. The sheer magnitude of the area is daunting. Shark Bay spans 2.3 million hectares of which 70% are marine waters! It is a World Heritage site with an abundance of marine life, including dugongs, dolphins, whales, sharks, rays and turtles. Coming back to Perth we had the pleasure of Steve and Trub's (Ron’s sister) company and were able to stay a bit longer. We explored Denham, Monkey Mia and Dirk Hartog, but missed the famous Hamelin Pool Marine Nature Reserve, famous for its stromatolites. It is also a fisherman’s heaven! Though it pays to look at the sanctuary zones and restrictions to ensure you are not in a marine sanctuary or fishing out of season. 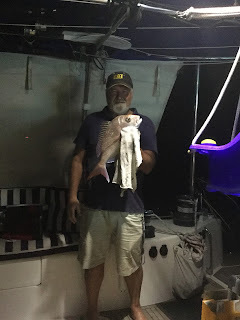 On the way North, Ron caught some lovely snapper for dinner and toyed with sharks (which he loves). We were treated by the most wonderful visit from a humpback whale. As magnificent as it was to see this beautiful mammal come right up to the boat and swim beneath our hulls, it was also nerve wracking to know that with a flick of the tail we could suffer some serious damage!